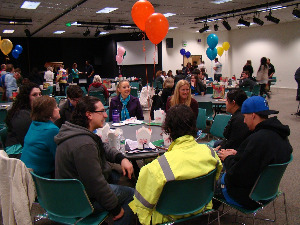 Triton Jumpstart provides students with a dynamic and meaningful experience facilitated by Edmonds CC faculty and staff. 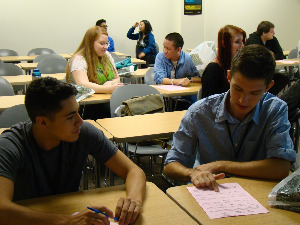 Students are given opportunities to connect their strengths to the overall development of their academic success. 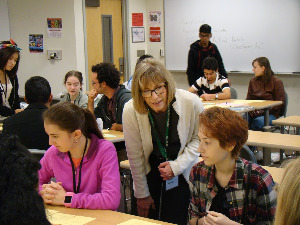 Students engage with one another in small groups led by faculty, learn about the programs, services, and resources Edmonds CC has to offer for their success, tour the campus, and more! Build self-efficacy and resiliency in students. Coach students to develop an individual achievement goal. Call upon them to specify “what they will do in the first 30 days” to achieve their desired goal. Inspire them to ponder how achieving such a goal will make a difference in their lives. Encourage students to ask questions; model for students how to form suitable, constructive and practical questions and strategies to navigate common, inescapable barriers and help students learn to read and respond appropriately to the variety of environments that they will encounter at the college. 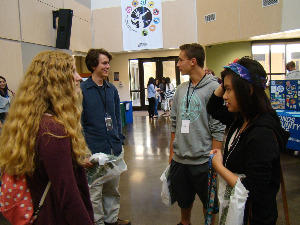 New international students attend the Orientation Week held at the beginning of each quarter.